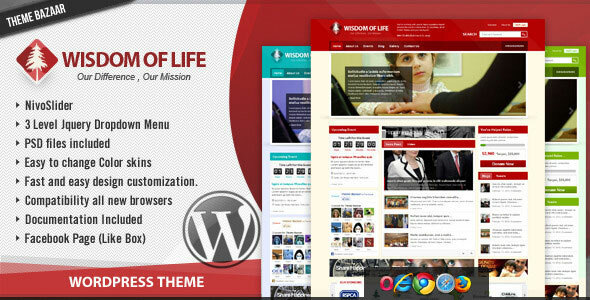 Wisdom Of Life is a clean and elegant theme, developed mainly to setup NGOs, non-profit orgnizations and corporate websites. Using the color scheme of your choice by using color picker make it elegant and high visual impact experience. This theme is best suitable for a small to large NGO Organizations to setup reference website. Theme works in all the major browsers, and has massive features to use for your next projects as well.